Here’s three less known facts about the main Reiki Symbols. The way to draw Cho Ku Rei is just a convention. Some Masters teach that it should be drawn clockwise. Others teach it counterclockwise. And others still teach to draw it in one direction to increase the flow of energy, and the other way around to decrease it. And of course, there are practitioners who don’t use it at all, and a lot of other options in between. The fact is, there’s no right or wrong way. The meaning you give to it, and the way the connection with the intention is formed in your mind, is what makes it work the way it does. Let’s say your Master taught you that the correct way to draw it is clockwise. You draw it clockwise, and you notice that it works. But if your Master told you to draw it the other way around, you would have noticed the same results. No need to change the way you draw it now. Don’t fix anything if it’s not broken. The correct way to draw Cho Ku Rei is the way that works for you. Read more about Cho Ku Rei. The two brain hemispheres deal with different aspects of life. The left hemisphere is in charge of reasoning, logic, rationality. The right one deals with dreams, imagination, intuition. Sei He Ki will bring balance to the two hemispheres, allowing for a life that is neither rooted in pure logic, nor in a dream state :). Peace is achieved in life when the two sides work together in balance and harmony. Read mode about Sei He Ki. You can imbue the distance healing symbol on your cell phone (just intend it while in a Reiki flow, no special “imbue” procedure) and activate it whenever you talk on the phone, to send Reiki to the situation you and the other person are talking about, or to that person, should it benefit and be accepted by their higher self. You can start sending as soon as the phone rings, and let it flow “on auto-pilot”, i.e. intending that the flow either ends when you hang up, or it continues for a while if required by the situation at hand. Remember that Reiki is an intelligent energy and it’s perfectly capable of turning itself off at precisely the right time. After a while, this will become automatic, and you’ll become a beacon, beaming more light and energy into the world and into everything you’re a part of. Read more about Hon Sha Ze Sho Nen. Interesting! Love knowing anything to do with Reiki, miss discussing it. blindly be practising it, later you can feel the wonders. Sriprakash ji, When you say that, it makes me want to ask you a question that has been bothering me..I would be very thankful if you or anyone will answer. I got distant attunement twice but felt nothing during or after the attunement. Do I just believe and blindly practise anyway? Will it work in my case too (distant attunement)? A distance attunement will work whether you feel it or not. Many people don’t feel them. Perhaps if you know you are getting a distance attunement at a certain time you could sit quietly and meditate on it at the time it is being given. Perhaps you need to consciously give your permission at that time. You could also give yourself an attunement at the same time you are receiving one. Trust that what you are receiving is for your highest good and all is happening as it should. My husband who’s a 1st level does not feel anything while practicing , and is always confused as to what I mean when I relate my experiences. But whenever in need I ask him for healing as it always works, so the end result is what matters. Sangeeta, I received first attunement during a physical class, not via distance and still felt nothing. So I guess it may or may not be manifesting in physical sensations. It’s more on the energy levels, I guess, it’s how you keep practicing and developing it. But if I say u seriously when I received 2nd degree attunement then I start feeling the energy flow..also It generally feels when u are doing practice u might not feel but that is working at subtle level. Reality is everyone feel little/small sensation at subtle level but when our minds comes in between then we look it as placebo effect…. 1)Activate your hand chakra by rotating ur another hand on central part on both hands..
adding to what deepak said.. you can do meditations to improve the energy flow.. one way i use is sitting in the floor and keeping hands in prayer position and both feets touching as in the below link… i cant find the exact picture online so consider thi pics for your leg/feet position… then visualise that a white light is entering through your crown chakra and looping in ur body through connected hand chakras and chakras in ur feet… u can feel instant boost of energy after this meditation. I was attuned at a physical session. During the attunement itself I felt nothing. But during the class beforehand, at one point I had this distinct feeling of my head opening and this large chunk of spinning energy dropping in with a clunk. I was confused because it was just in the middle of class, not the proper time at all. I wondered what would happen during the attunement, but there was nothing. So maybe you “felt” something at some point but you didn’t attribute it to the attunement because you weren’t thinking about Reiki at the time. Or maybe you didn’t feel anything at all, which is fine too. Now when I practice Reiki, that spinning in my head activates whenever I hit upon a large area that desperately needs healing, but otherwise it really doesn’t. In fact, my clients say my hand warms up. I don’t feel it myself. I haven’t done a lot of Reiki on people yet though. I had a distant attunement as well. Mine was amazing. Just because you didn’t feel anything doesn’t mean it didn’t work. You are attuned to which ever level and symbols you were attuned to. Trust in Reiki. Not everyone feels attunements just like not everyone feels a treatment. Reiki works at so many levels we don’t even know about. If u r practicing one your self or on anything else, you should be aware of the flow. If you can’t feel it after activation I would suggest a 21 day cleanse. Meaning self treat for 21 days. I wud like to tell you about my experience with Reiki. I had taken first degree reiki and was not feeling anything. and for that very reason i thought that i had not learnt anything and was holding the second degree session of our entire group, thinking this was a waste of time and money as i was not able to feel any thing about reiki or its flow while trying to connect with others. one day in the middle of the night my wife started having some gynaec problem, now i did not know what doctor to got around 2:30 am in the dead of night with my wife in pain. my wife asked me give to her reiki, as there was no other thing i could do, i just started drawing the symbols and doing what i had been taught. you wont believe, in minutes she was relieved of the pain she was having and was very much normal. this led me to believe that irrespective of what i believed that i had not learnt anything in Reiki it worked wonders. after this incident i went in second and then took masters symbol and there was no looking back. Reiki always works, rather not just works but works wonders. I don’t believe distance attunements are possible. Healings yes but attunements must be done in person and yes this means online reiki classes are a money grab and a fraud. I agree, distance healing is very different from an attunments. An attunments is a connection between a teacher and student. The symbols are placed in open hand over the crown and can not be done by distance. If you learn how Master Usui wished Reiki to be learnt one would know this. There isn’t a quick fix to learning Reiki. Sorry Phillipa, I disagree with you here. I got distance attunement . During the attunement ceremony, I could feel a change in energy toward the end of the ceremony which lasted for about 45 minutes in my case. Also let me tell you my master didn’t charge me anything so to say. And even after the ceremony she gave me several advice on what I should do during my self healing sessions. May be I am very lucky..
Greetings! I wasn’t sure if a distance attunement was possible, so I decided to try it. (Note: I had already done levels 1 and 2 in person with a wonderful teacher.) I had no expectations, in fact I was even a bit skeptical. I booked a time for the attunement, and lay down as directed. Well, I was amazed at the depth and quality of the energy that I received! It was quite amazing, and has enriched my Reiki practice. Now I’m a believer. Hi Sangeeta, As per all the posts above, you might realise the answer isn’t that simple. I would say that a lot of people are legitimate while a lot of them are juste trying to make quick money. The best thing to do for you to make sure it works is to try and give yourself Reiki to start with. While you do so, try and be in a receptive mode as you send it in a passive mode. You can also try on plants for example and see what you feel. I have personally never met a Reiki practitionner who doesn’t feel anything while giving reiki. One good experiment, would be with cats as they are very receptive to it. Either they will immediately go away, be curious about it, or welcome it (do so still making sure about their free will of course). If still in doubt, you should refer to your Reiki master who should really answer some of your questions as part of your training. Don’t trust distant attunnements specially with money involved. Money has to be involved, of course. Do reiki attunnements with a present teacher, know them well and see and feel if you can trust the person that is going to teach you. This is very important. PLENTY of Reiki people around to talk to. Yes, absolutely, Shelly.I hv recently got inducted n am enjoying lapping up all the info.Thank u ever so much, Reiki Rays!Anybody here have done Crystal Reiki with Shiv Shakti? Would love to read, gather more info.. It was a blessing to see this and refreshed my spirit. Thank you for this generous, wonderful and authentic sharing. God bless you and may this good karma return to you many fold. What is this intelligent energy called? From my understanding it is the Holy Spirit… I am curious to know your thoughts. Reiki broken down means Rei=universal, Ki=life force; Reiki means life force so what is being channeled is universal life force. never done the sandwich. it’s interesting. i try to focus on all the symbols when working on people or myself. i’m still practicing my masters. Interesting thoughts you share in this post. But as these symbols are tools to help us attain enlightenment, I’m not sure your descriptions are correct. Please tell about master symbol dai ko mio. My Reiki Master taught me that the clockwise Cho Ku Ray increases the energy level and connects to the universe. The counterclockwise release blockages and pulls out negativity and connects to the Earth. The class was advised to use both of them. Who taught you John? I would like to get my second Attunement soon am looking for the right master to do this with. I completely agree John. That’s also the way I was taught and I have experienced this “technique” to be really effective this way on more than one occasion! funny because I was taught just the opposite: clockwise connects to the earth, counterclockwise connects to the universe. So I guess this article is correct, that it is all about the intention behind the symbol. The symbol itself isn’t magic, it just helps us to focus. The way the symbol works differently for different people is similar to the way a pendulum works. For a friend of mine her pendulum rotates clockwise or anti-clockwise. For me my pendulum moves back and forth or side to side. One day she had asked a question with hers. I did not have mine with me so borrowed hers to ask my question. For her it had done the clockwise/anti-clockwise moves and then for me it did the back and forth. I conclude that the energy comes from within and manifests how best suits us individually. thank you for sharing the information, appreciation spiritual connections to these sighns. Hi I use these simbuls for many years ago and is very good for me . Hairfall problem can be cured by reiki? Request an article on Visualisation please! Don’t believe it is laziness, many practitioners find that they fall asleep part way through self healing. A baby will often sleep themselves better and reiki is helping you to do the same. Rest is important to the healing process whether the problem is physical or emotional so accept it. On waking greet your day with a simple, short reiki session on yourself, try visualising a happy and fulfilling day ahead and NEVER forget to say thanks to spirit each time you use reiki. Been a RMT for over 20 yrs. so happy to see that the world is opening its heart and mind to the many benefits of non traditional healing. I was taught from Level 1 to use the sandwich method. Self treats should be done everyday, using the 3 min bells which can help focus and as for falling asleep half way though doing them its okay the guides will finish if off for you. Scanning should be done on a client after the treatment and will become part of the treatment. Using the symbols on your hands before treatments is like winding up the power up. I’m a level 1 and I too don’t feel the energy as strong as I did in the beginning and also fall asleep. But I was told that it’s working no matter what. However I am going in tomorrow for a tune up with my reiki master to help with any hang ups I’m having. There is so much to learn and I appreciate you Reiki Rays. You are a wealth of information and since I’m drawn to your articles, I feel I can trust that it’s good and correct. Thank you do much! I have done reiki 1 and 2 and also work on animals which I love, but am seeing more and more that you can do a course on animal reiki, what is the difference please? What is the difference between different versions of REiki say usai ,karunna etc.. Thank you for sharing on this page. I am newly a reiki 1&2. practising on myself at the moment, and I too fall asleep half way through. Its very relaxing. I enjoy reading all the comments. I would love to talk with more people who practice reiki so we can share our findings. It would be so wonderful if we could do that….maybe we should have a forum or something..
Hi Dalia, you had asked abt reiki with shiva-shakti crystal. I do it on regular basis after my master attunement. I find them powerful. Nisha….would love to connect up and exchange notes,experiences. Thank you for all of your valuable information. I have completed level 1 & 2 of the Pure Reiki Healing and have done the self attunement. I have been practicing on self and a few family members. Is there anyway you can provide me with a distance attunement!! I feel as though it is necessary. Nice to read different experiences from different practioners.To boast reiki energy flow pls.do meditaions as much as possible. Keep create positive thoughts. Hi Samantha… Feel like a fraud? That is strange. Not feeling or seeing something is not unusual for beginners of Reiki as practice and time will change that. Work on the brow chakra (there are many meditations free on-line). I am a Holy Fire II Master/Teacher and just so you know visual was an issue at first, but I always have seen colors. If you are serious in Reiki, the more you use the stronger it becomes. So keep working and assuming you are also having Reiki done on yourself by another practitioner. Almost sounds like you may have a block in the brow chakra, so you may also want to find a local Master that can help in removing or a distance healing. What type Reiki are you trained in, Tibetan, Karuna, Holy Fire? Symbols are by intention and you should use what your Master taught you. Even Takata taught with different symbols. I am assuming you are either level I or II as your mention of ego. Other issues are you may have a guide that is ego based, and you may want to look for another guide to replace. There are many guides but please remember that 2nd heaven guides can be ego driven and have other deceptive traits. Do you know your guides name? I think a symbol helps us remember, focus and believe. If we make up our own symbol how can we believe in it? We will always have that doubt. But it is the intention behind it that matters, and the symbol connects us all in that higher belief. The intelligent energy won’t judge us if we do it wrong, though, if we have the right intention. Alan, again, please remember it’s the intention what counts. You do not have to draw the symbol at all, all you have to do is say the name of the symbol and it works believe me. Agree, you can’t just “wing it” with the symbols. This is not practicing Reiki as Master Usui would want. It’s ego if people think they can attuned themselves or online. Take time to learn with a good true Master. Master Usui ONLY taught in person and made his students wait between degrees for a reason. I LOVE the Reiki Sandwich! I use Reiki all the time. Wherever I am! 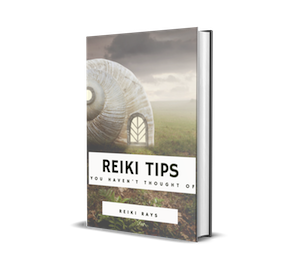 One particular time my son had an accident and as we were sitting in emergency in hospital I did Reiki on him and I am certain the outcome was a lot better than it could have been. He even would tell me to move my hands for a while because they got so hot! Especially if I did the third eye position. Reiki is available all the time to EVERYONE. I teach my students that all the time. Where your intention goes, the energy flows!!! For the people that say they don’t feel it when they perform Reiki on themselves they may want to try fasting, and/or going vegetarian (if only for a while). I really felt the energy increase through me after trying these. If you are falling asleep, it is working! Dr.Usui CKR was a left spiral. I’m not sure who or when it was changed. I wish to know whether one can do healing for a person in US, by sitting in India.What is the procedure for time and space healing. After my 2nd attunement it felt like someone was wiping my arms as if they were almost being yanked on. Is this common? Even placebo and hypnosis are very powerful. Have been using energy work for over 30 years, began using reiki for the last six or seven. I found that once I started using reiki, people and animals would walk right up to me and show me their issues concerning healing, even when I traveled. of course I obliged, that is why we pursue these methods, I have been using the reiki symbols more these days when in the past went straight to my healers, guides and teachers to work through me, the results were noticeably better. a woman who had extreme gout and infection going into the bone under dr’s care, within three days went back to dr and there was no swelling, no blackness in the skin and was very happy with the results. The dr. was told that Reiki was used and stated he was sure this made the difference for the diabetic patient. I plan on using the signs on a regular basis, thank you for the info sharing. I got my first attunement in the year 1998 but did not practic at all. For last few year I have been suffering from acute spondilytis and one of my friend suggested me to start practicing Reiki again.. She too is a Reiki master. She assured me once attuned in Reiki it is for life time. But to boost my faith again she reattuned me in 1st level and after one month she attuned me in 2nd level also but This time it was a distant attunement. I did not feel during the attunement session and though practicing every day for almost one and half hour still I do not feel any difference after my 1lvl attunement. And really do not feel confident about my Reiki energy flow. Can anyone please tell me how we can be sure that our energy is flowing properly. Is there any method to check it. There is no such thing as proper. Reiki energy just is. You need to open your heart to Reiki and accept the healing. Then just turn it on, do the symbols, state intent and do hand positions. Also ask reiki to heal your confidence. Have you thought of using a pendulum during your sessions? it might help you gain more confidence. I myself am a Level 2 and do not feel much, so it helps to have the pendulum tell me where to redirect the energy once I have finished a session (if redirection is needed). Thank you so much for all the lovely information. I find reiki can be complicated and remind myself that once attuned it’s always there to work for the higher good. I find its like switching off my brain and letting my instincts take over. When doin reiki let your hands go to where the reiki needs to go. Trust in the angels and the energy flow. As for the lack of confidence.. just let go and ask the reiki to guide you. Once I did my masters my whole self opened up and became calm and at ease to just be. I have reiki 1&2 and work most of the time with my eyes closed as I see colour and get feedback through my hands. Some of myfellow practitioners speak about having spirit guides but I am not aware of having any. I know that my reiki sessions are effective as I get good results. Does everyone else have spirit guides? What rubbish shows u have no understanding of Japan, zen, China etc at all. All naturally occurring circles move anti clockwise. Japan is a culture that was very inline with the ebb and flow of natural movement look at wetting from moss everywhere to bonsai to how traditally the did things. No one person feels, sees, hears, touches, perceives, tastes or knows not knowing why just knows…the way you integrate your attunement will be for you, no one else. Your spirit guides work for and with you. The miracles and revelations are revealed as they are, patience is good. Discoveries are fun. Informative article. Thanks. When i activate CKR, before sending reiki to a distant person, my finger automatically continues to draw some more spirals till it ends in a point. Why it is like that? Now i have to be cautious to forcefully stop it after 3 spirals. It makes me confused. Someone pls explain it. I always use it with reverence. However I used to be more concerned of stopping it after 3 and a half spirals and i had to forcefully stop it there. After reading your reply that it is not a big concern, i am relaxed while drawing itand now i dont bother it much. Thanks again. Excuse my ignorance…I have no idea what the ‘FILLER’ Symbol is in the Reiki Sandwich!? Help! Thanks. Thank you for your answer. Have a great Beltane/May Day Tomorrow! Any one kindly share , how much time it takes to heal anxiety and fear, I am second level and doing it for last one month but seems its not working……. The higher power of the person you are doing the sessions on, chooses where the Reiki healing goes. Our intent should always be for the greater good of the person. Sometimes, people need to feel the pain to make changes needed to move away from those emotions. Thanku reiki Ray its and amazing place to discussion related to reiki . I have a query here, when you activate the reiki for sometime on auto pilot mode, how do you ensure the connection is cut off in the end? In reiki we need to disconnect as well, shd we jst state intention it shd flow till phone call is on and then disconnect when phone is disconnected? Also will it get disconnect automatically by merely an intention? I was reading through comments posted and was sad at how much doubt I saw. Please do not forget one of the first things we were taught… Reiki teaches reiki. Please do not doubt, compare or judge yourself or others. We are all on a journey and we all go at are own pace, just trust in yourself and your journey. Please don’t put yourself in a box and lable yourself as we all have a lot of learning, growing and changing to do. If we are boxed in we loose this ability. Please just remember to love and accept your own beautiful self and others for what they are…after all, we are here to help each other. Keep learning and keep loving, heal yourself and remember love is the greatest healer of all. Anyone else been taught this way?